For as long as the modern world as we know has existed, the quest for the human race to entertain itself has been steadfast. From paintings in the caves by Neanderthals to the modern age of 4K streaming content from Netflix – the world of entertainment is a centuries-old passion that has now reached its epitome. At the very forefront of streaming entertainment has been YouTube, the largest free online media streaming platform. Ever since it became a part of the Google family, YouTube has not only become an iconic player in the media streaming world, but a cash cow for Google and content creators alike. With YouTube being the go-to video streaming app on Android and iOS, millions of mobile users enjoy free content every day. But unless you’re paying a premium subscription price for the YouTube Red membership, there are certain limitations to the YouTube app. Unless you’re paying a premium for the YouTube Red service, you won’t be able to enjoy Picture-in-Picture mode on your Android device when watching YouTube videos. However, there is a third-party app called Floating Tube that directly bypasses this restriction, offering you the ability to watch YouTube videos in the background and even with the screen turned off. 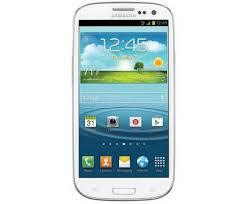 Open the Floating Tube app and use the search bar at the top of the screen to look for a YouTube video. The YouTube video will begin playing in a pop-up window screen. Using the bottom-right corner tab of the window, you can resize the video screen. The Expand icon on the pop-up window will make the video launch in full-screen. Press the Minimize icon on the window background as a tiny screen that blends into the background. You can even press the Power button to turn off the screen, during which the YouTube video will continue to play even when the screen is off. There are pop-up ads from the Floating Tube app every now and then, which can be done away with by making an in-app purchase to enjoy an ad-free experience. While YouTube does offer you the ability to download and save videos using the mobile pp for offline viewing, the watch period is limited to 30 days. 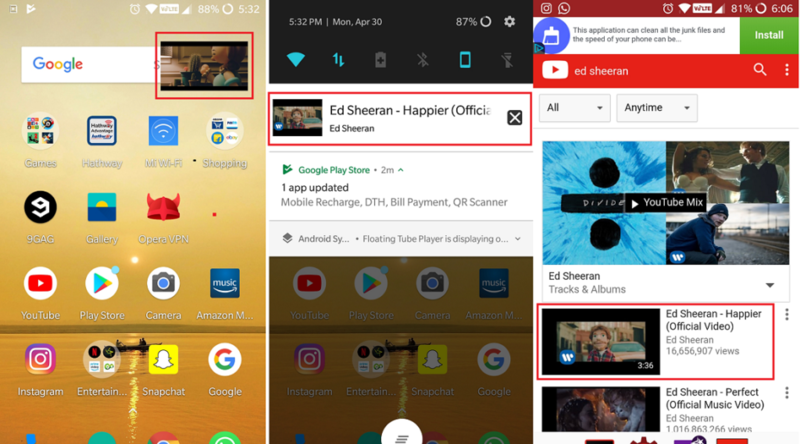 For all of those times when you need to download a YouTube video for offline viewing, you need to jump some hurdles and get the Videoder app. 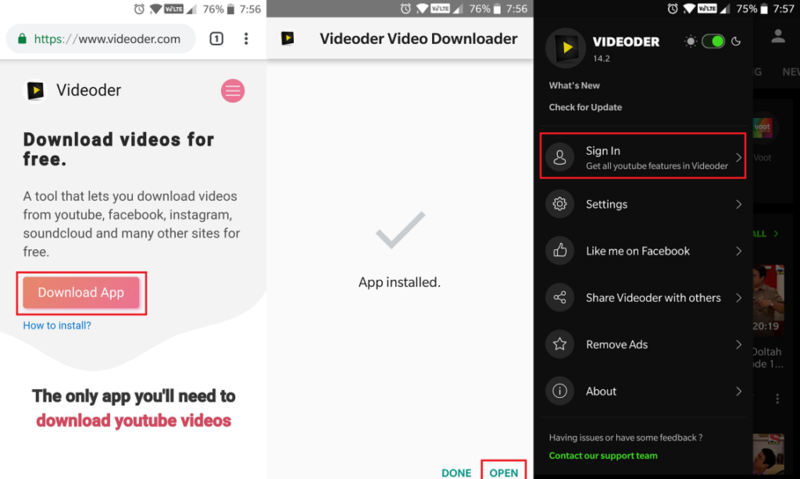 Since Videoder does not adhere with Google Play Store policy, you need to download the Videoder APK file and install it manually. Head over to Settings – About phone – Build number on your Android device and tap it 7 times to enable the Developer options menu. Head back to the Downloads app on your Android device and tap on the Videoder APK file. Press the Install button to begin and hit the Done button once the installation process is complete. Open the Videoder app and use the search bar to look for the video you wish to download. 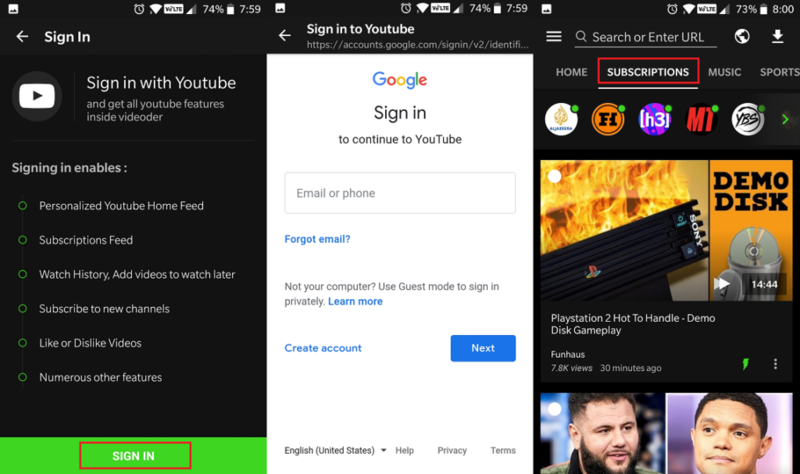 You can even use the sidebar menu and tap on the Sign In option to connect your YouTube account with the Videoder app and see all of your subscribed channels in one place. Tap on the video you wish to save to your device and then press the Download button right below it. 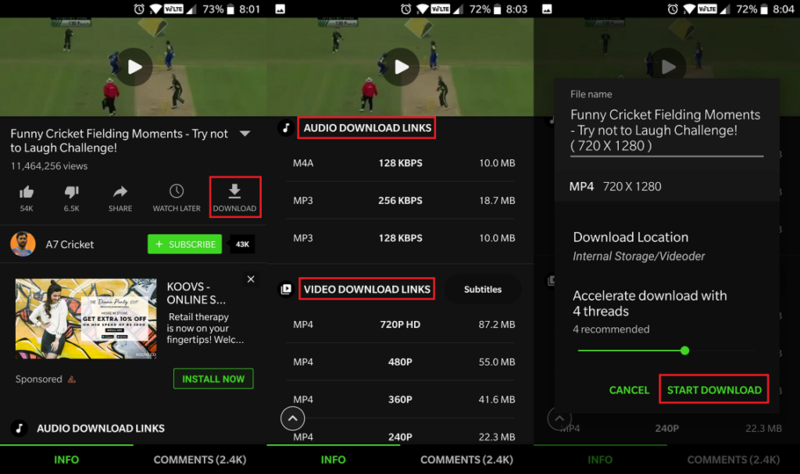 Choose the Audio Download Links if you only wish to download the audio, or select the Video Download Links to save the video file. You can even select the resolution and audio quality that you wish to download the media file in. Press the Start Download button to begin and wait while the process is being completed. You can tap on the Download icon in the top-right corner to see the status of the video you are downloading and then tap on it to open the file. You can then easily send and share the video from the Videoder app itself, choose to convert it to audio, and even delete the ones you don’t want to watch anymore to free up storage space on your mobile phone. With billions of users across the world, YouTube has easily become the largest media website in the world by a mile’s stretch. 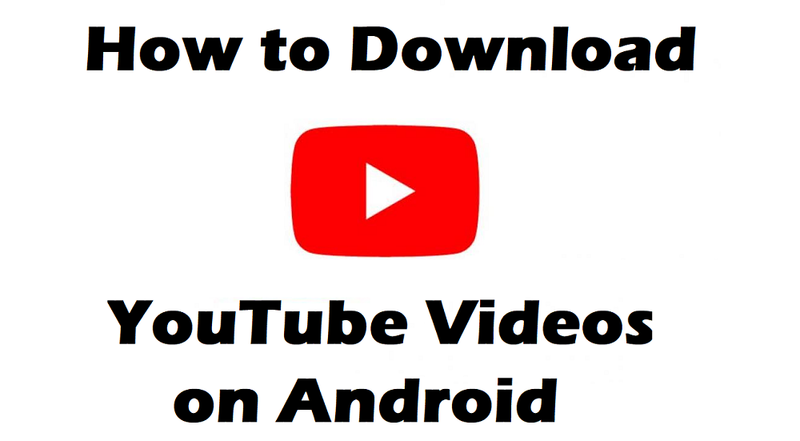 While the number of mobile users largely contribute to the users YouTube receives, there are limitations to the free version of the YouTube app, which includes no ability to permanently download YouTube videos and keeping the video playback going even with the screen turned off. Using the two separate methods mentioned above, you can enjoy all of the premium features that are bestowed upon YouTube Red users for free on any Android device. If you’ve got any other great trick up your sleeve that allows downloading YouTube videos easily, be sure to mention it in the comments section right down below and we’ll be sure to check it out right away.